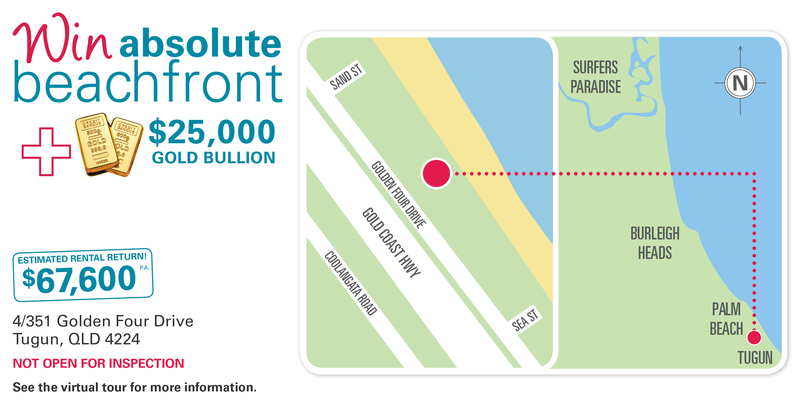 A luxurious home steps from the beach + $25,000 Gold! Experience absolute beachfront living, a lifestyle only a lucky few in the world enjoy! Open the gate and step onto the beach from this spacious four bedroom, three bathroom home. 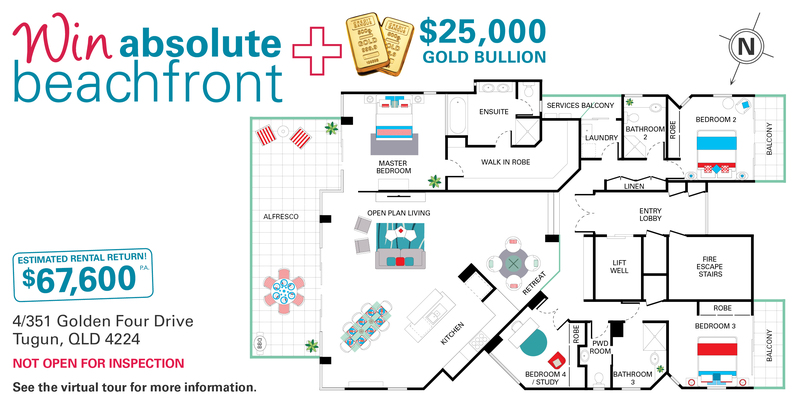 Plus, with draw 322 this Gold Coast home comes with $25,000 in gold bullion to spend as you please. This light filled, spacious 4 bedroom, 3 bathroom home has stunning ocean views that stretch to the horizon. Your floor-to-ceiling glass doors lead out to an expansive balcony where you can entertain family and friends and enjoy the stunning backdrop of Tugun Beach. Imagine waking up to the sound of the ocean and enjoying breathtaking views from your master bedroom, which also includes a walk-in robe and ensuite. Located in on the southern end of the Gold Coast, you could live steps away from sinking your feet in the sand and a short stroll to shops, cafes and restaurants. This prize includes $83,079 in furniture and electrical appliances.